After his disappearance, Dr Forrest’s friends watch as the abyss that lies in his wake inexplicably consumes their every lead and the Grim Reaper’s touch edges closer to those they hold dear. A foreseeable plot that is typical of gothic literature does not detract from the gripping mystery laid down in this book. A subtly sinister tale of partnership between Hubris and the femme fatale pays homage to the masters of the field (Dante in particular) without being weighed down by them. Kelly’s skilful displacement of the gothic dialect to the modern day lays the foundations for a neo-gothic genre. 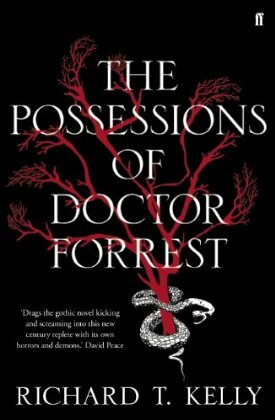 You are currently reading The Possessions of Doctor Forrest by Richard T. Kelly (Book Review) at booksbeccabuys.